but doesn't hide the beauty of your cake. variety of flowers and ribbons. 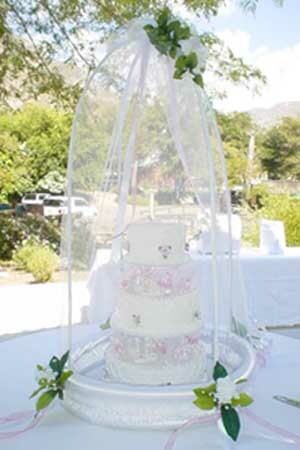 Our cake covers can be made to accommodate most any size cake.